The initial style of the film handbill, or flier, was seen in Japan before World War II. There were a limited number of movie theaters in Japan at this period, and films were promoted by theaters themselves. The pre-war handbills in the Makino Collection were printed on coarse paper and produced by the movie theaters, unlike the current Western style. The design uses traditional Japanese writing styles, such as inscribing phrases from right to left. The original style of film programs began to be distributed as a free-of-charge weekly bulletin, which were published by film theaters just like film fliers. There was no boundary between flier and program at this point. After the war, starting from Subaruza in the Yῡrakuchō neighborhood of Tokyo, the American style of roadshow theatrical release permeated all of Japan, which was led by the Central Motion Picture Exchange (CMPE). 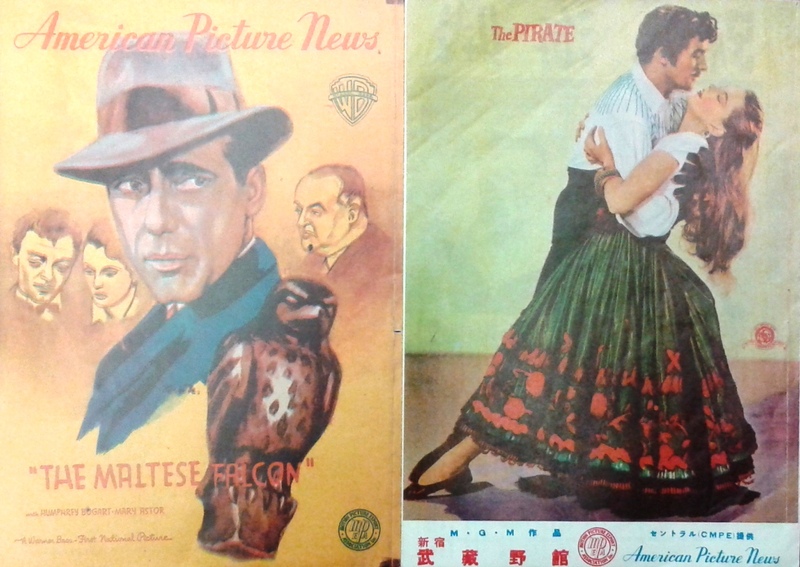 CMPE published and sold their own film programs for their distributed Hollywood films during the occupation period. 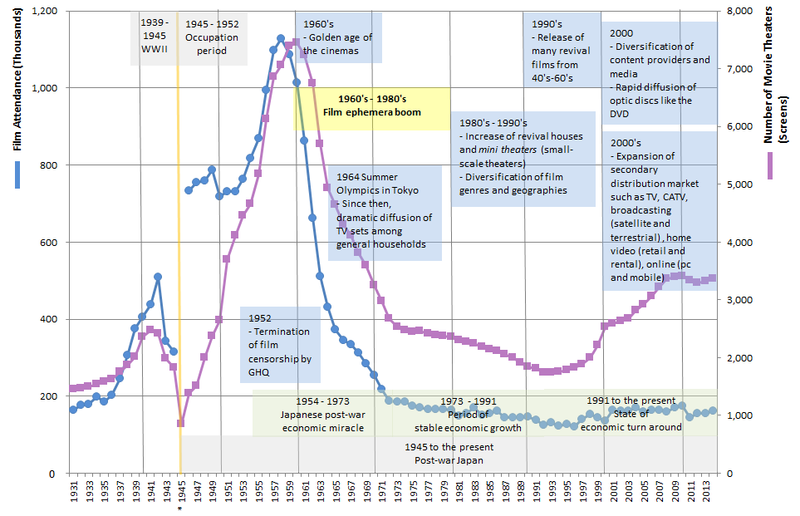 Meanwhile, the number of theaters dramatically increased, reaching its peak in 1960. 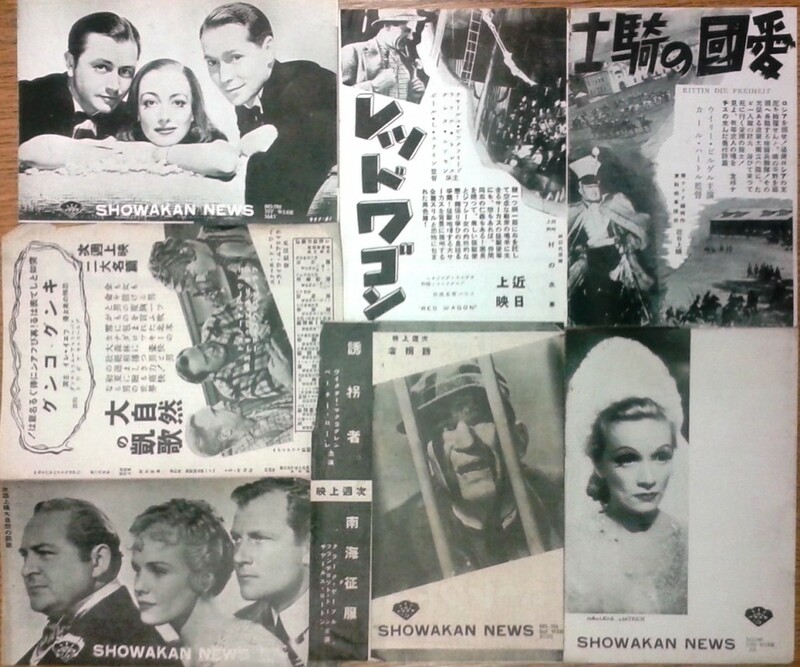 This entry was posted in CLIR, East Asian cinema, film ephemera, film flier, film industry, film program, movie theater handbills and tagged CLIR 2013, film ephemera, film industry, Film Studies, Japanese Studies, Makino Mamoru, Media Studies on March 2, 2015 by Miki Masuda.